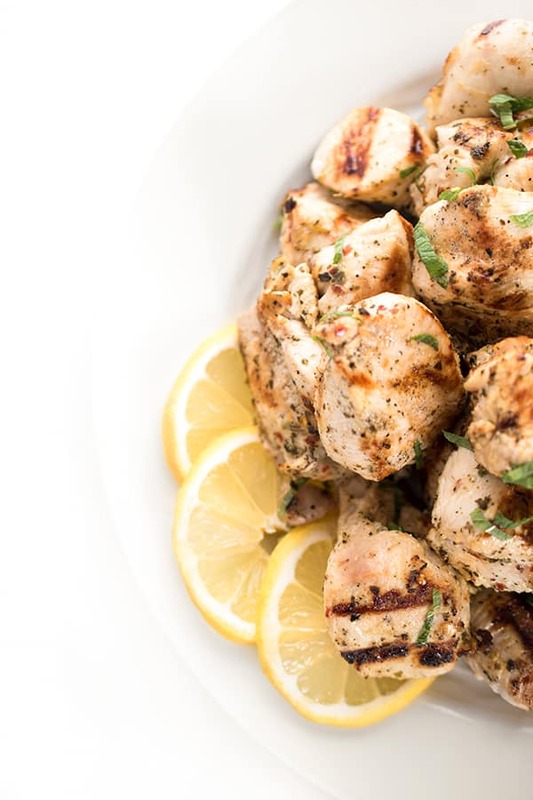 This easy Grilled Chicken Souvlaki recipe is made with a Greek inspired marinade. Great for serving in pitas, salads or over rice. 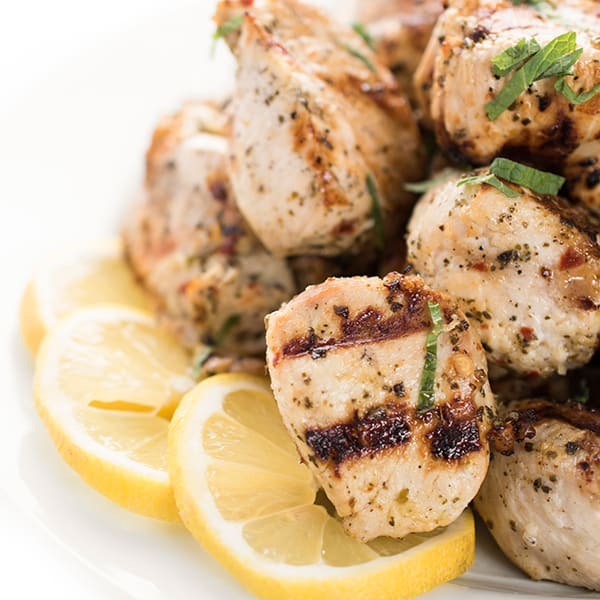 Every Sunday, I love to fire up the grill and cook a large batch of chicken souvlaki. We enjoy it for dinner that evening with grilled veggies and save leftovers for later in the week. Extra chicken perks tastes delicious in a big green salad. 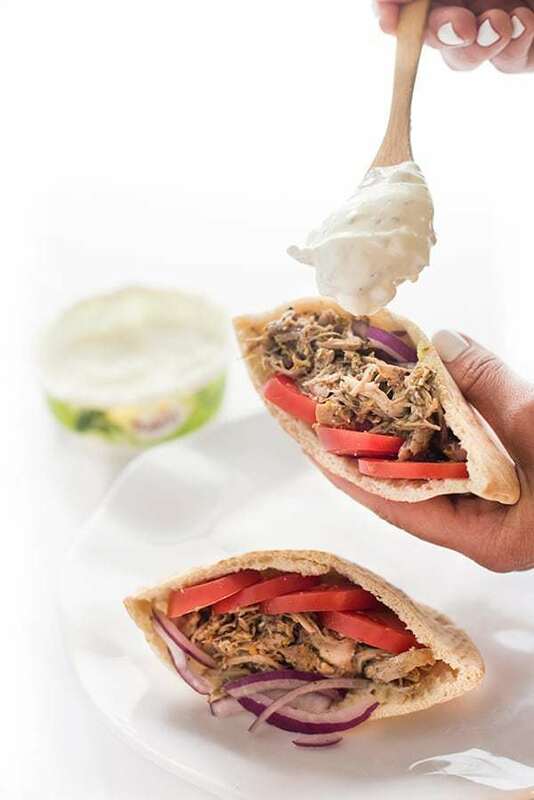 You could also use leftovers in a pita sandwich with a tasty cucumber yogurt sauce to take to lunch the next day. Not a fan of chicken? Try this recipe with pork tenderloin, veggies (eggplant, zucchini, squash, onions) or pork shoulder. Whatever you do, be sure to make extras for lunch later in the week. You won’t be sorry. 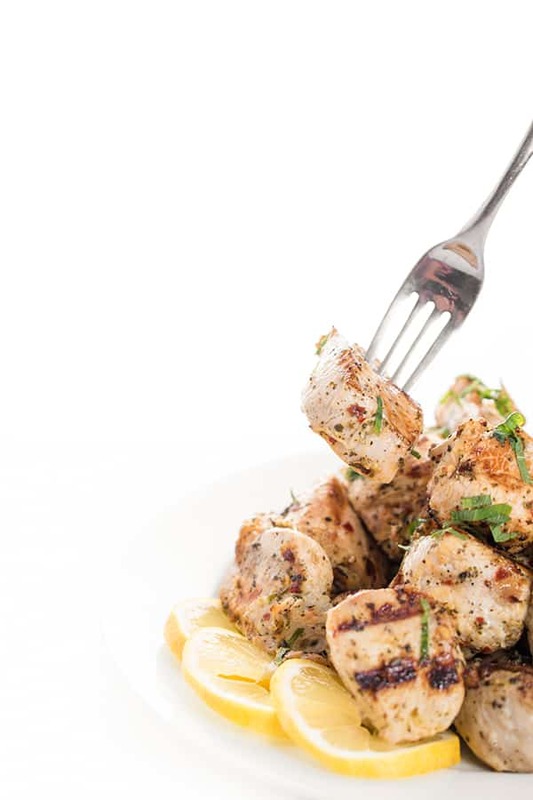 Cut chicken breasts into 2 inch sized chunks and place in a large zip loc bag. 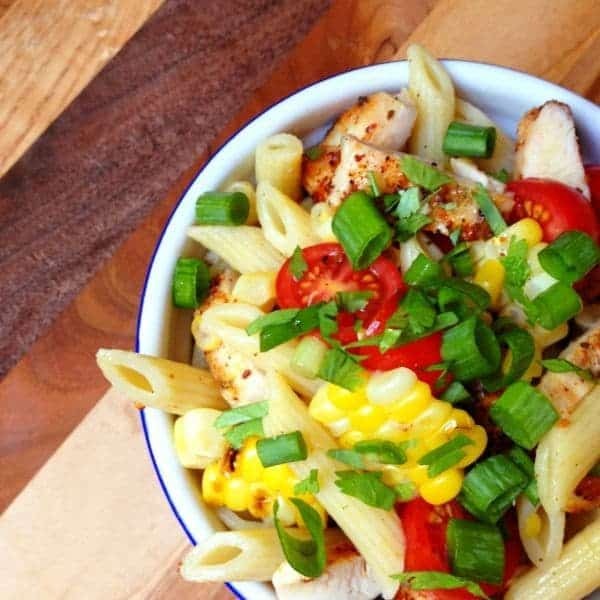 In a small bowl, wisk together marinade and pour over chicken. Marinade 30 minutes or overnight. 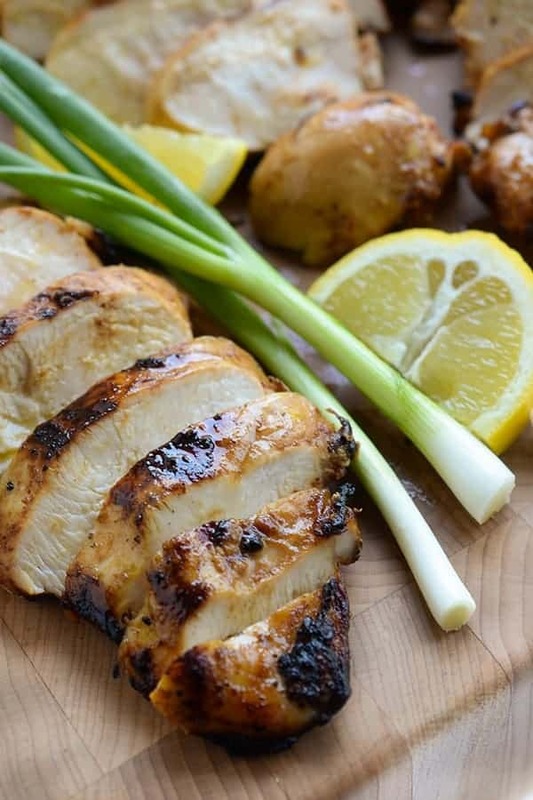 When ready to grill, heat over medium-high heat rotating once until chicken is cooked through about 4 minutes per side. Please note: most of the marinade falls all while grilling so the fat and sodium will most likely be lower once cooked. Want more summer grilling ideas? 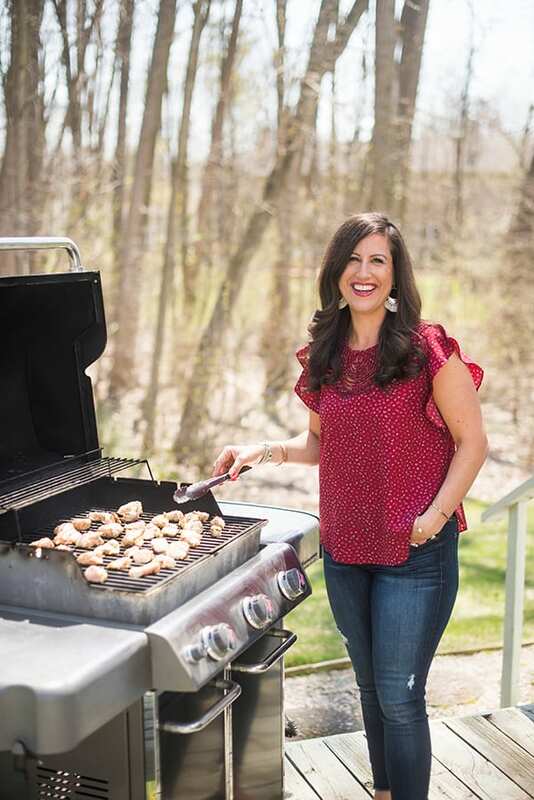 Head over to my Pinterest board for delicious dinner recipes! how do i make the marinade ?? The marinade is all the remaining ingredients. :) You just whisk them together and dump over the chicken! I love all of your recipes! This one sounds delicious. Thanks so much Jett!! I hope you try this! I’m so sorry to hear this meal didn’t work out for you. We make it ALL the time (with pork as well as chicken) so I’d love to figure out where things went wrong for you. Did you use the recommended 1 1/2 pounds of chicken? Let me know – I’d love to help! Oh I’m so glad!! We make it all the time too!! Enjoy!! 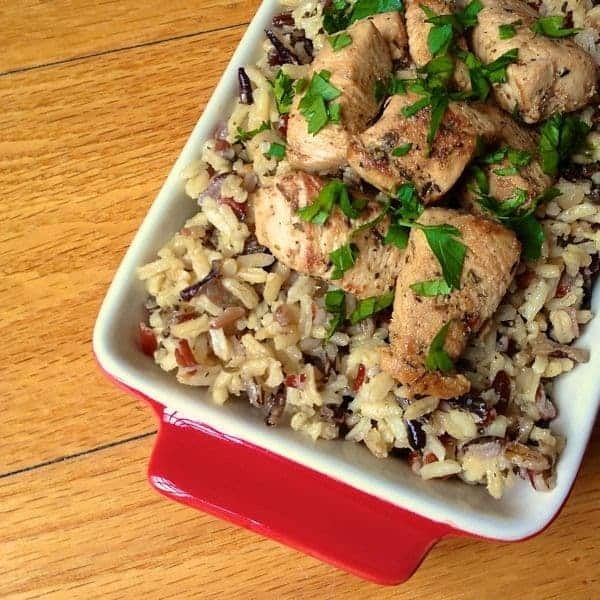 Thank you for this recipe….It has become a favorite of mine….a mainstay of sorts. 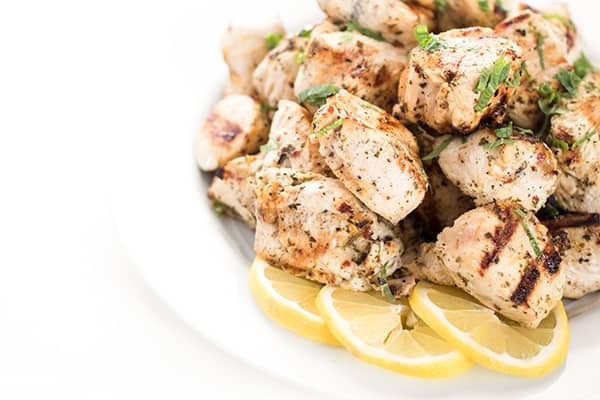 With the low fat and low calorie yet high in protein…I can eat a little several times a day and it fills me up…and keeps me going…I love love love this chicken…so tender and juicy….I change up the spices a little sometimes…and it always comes out WONDERFUL!!! !